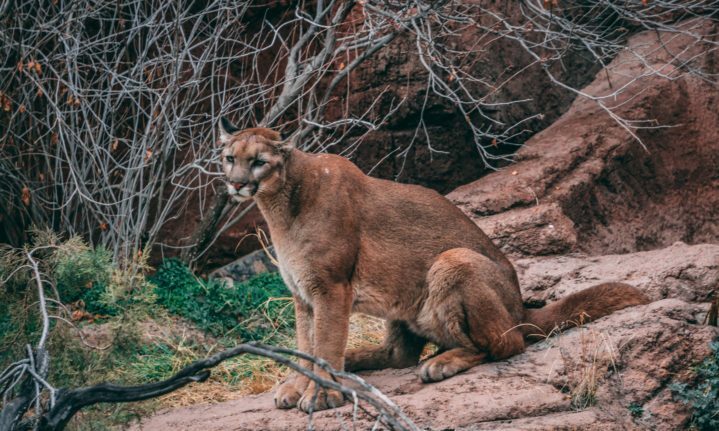 Near Fort Collins, Colorado, a man running through the West Ridge Trail at Horsetooth Mountain Open Space killed a mountain lion after the animal attacked him yesterday afternoon. Remarkably, the man used nothing but his bare hands to fend off the animal’s deadly advances. He escaped relatively unscathed considering the circumstances with the lion only biting his wrist and face. Officials from Colorado Parks and Wildlife (CPW) and Larimer County searched the trail in question and found a dead juvenile mountain lion. They ruled the animal dead via suffocation and reopened the park after briefly closing it, according to a press release. The man reportedly heard something creeping up behind him while on a run and then turned around to find the animal lunging at him. He “sustained serious, but non-life threatening injuries” during the fight, and managed to alert authorities and get himself to a hospital on his own accord. CPW notes that Colorado has seen only 16 injuries and three fatalities as a result of mountain lion attacks since 1990. Further, there’s only been 20 fatalities across the entirety of North America in the last century due to mountain lions attacking humans.